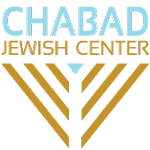 Unless otherwise noted on our website, Shabbat Services are temporarily being held at the home of Rabbi & Mrs. Lifshitz, 3510 N North St, Boise, ID 83703, which is NOT in walking distance to the Chabad Jewish Center. Shacharit/Musaf services are held weekly on Shabbat mornings at 10:00 AM, followed by a community kiddush luncheon. We do not always get a minyan, but with guests in town there is a stronger likelihood. Cottonwood Suites at 3031 Main Street, Boise, ID 83702. Red Lion Hotel at 1800 West Fairview Avenue, Boise, ID 83702. Riverside Hotel at 2900 West Chinden Boulevard, Boise, ID 83714. Boise Inn at 4060 W Fairview Ave, Boise, ID 83706. The nicest hotel is the Riverside. The closest hotel (by about a block) is the Cottonwood, though it is fairly basic. The Boise Inn is a very basic (not recommended) motel. The Red Lion is a decent balance of location, quality and value. Please note that ALL above hotels are over 2 miles away. All 5 above hotels are just under or just over 1 mile from the Chabad Jewish Center. 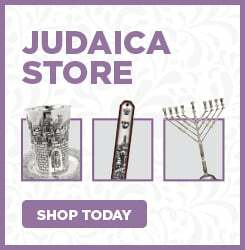 Click here for our Kosher in Boise page. A communal kiddush lunch is held after services on Shabbat day at the Chabad Jewish Center (except for Pesach and other unique exceptions; it is advisable to check first). Requests for Friday night meal hospitality can be made by emailing the Chabad Jewish Center or calling 208.853.9200. If you are visiting Boise and are in need of kosher meals, please click here for our Kosher Catering page. We do not have a full-scale catering service but are happy to do our best to accommodate the kosher traveler. There is no eruv in the greater Boise area. Unfortunately, there is no mikvah in Boise. The closest mikvah is in Salt Lake City, Utah (app. 350 miles from Boise). Efforts are underway to raise funds to construct a mikvah. To contribute to our Mikvah fund and find out more about this project please click here. Thank you. If you have further questions, please contact us via email or at 208.853.9200.